Untreated obstructive sleep apnea (OSA) has so many negative effects on various medical conditions. You might have heard it already and shared this information with your patients, but untreated OSA can be deadly. By providing your patients with up-to-date information on the negative effects of sleep apnea and the importance of treatment, you can help them take charge of their health and well-being. The infographic below can be shared with your patients or hung up in your office to share more information about the negative effects of sleep apnea on various medical conditions. 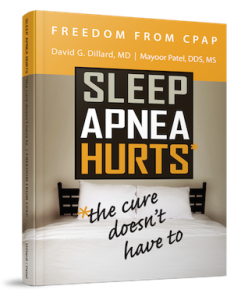 By providing your patients with this information, you can help them better understand the negative effects of sleep apnea on their overall health. These medical conditions should not be ignored. Contact me today if you have further questions on the medical conditions connected to sleep apnea and how you can help your patients.